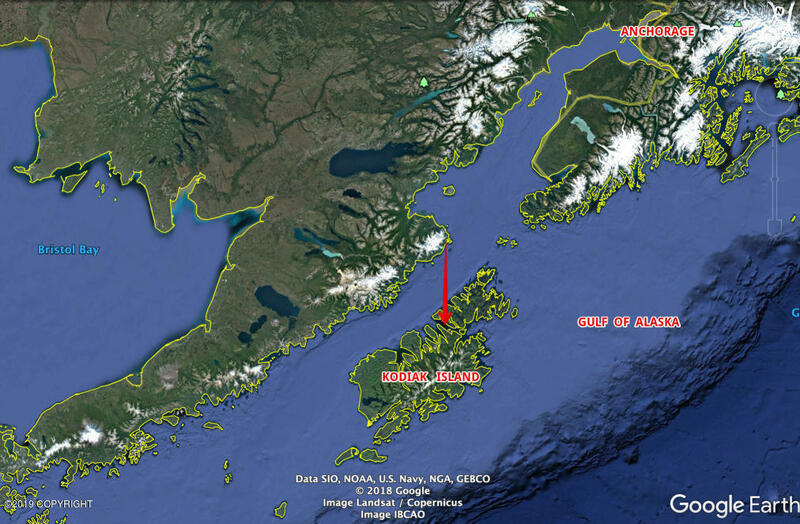 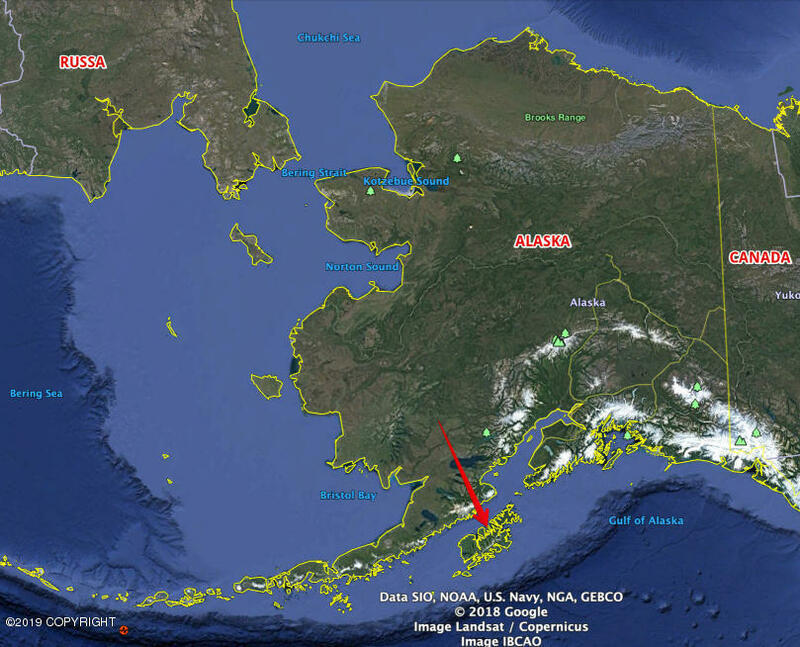 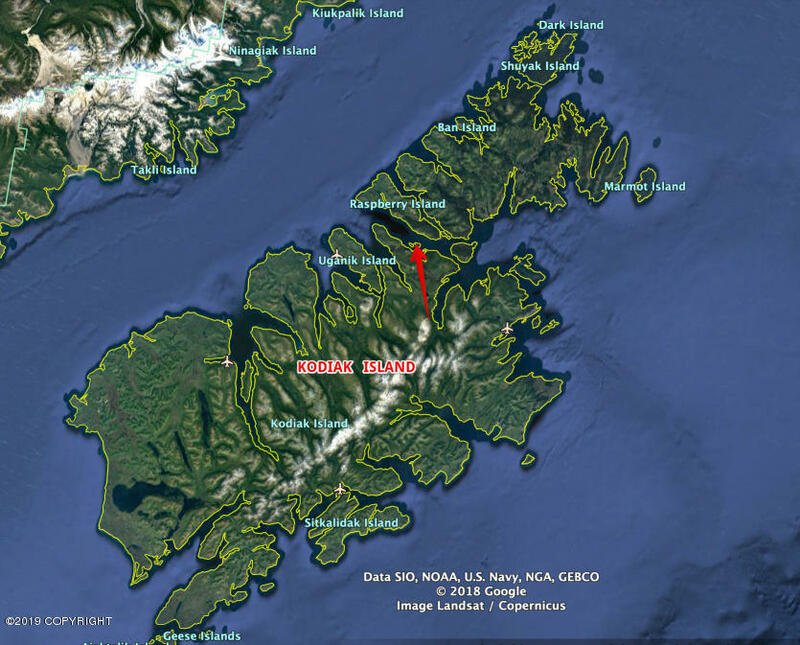 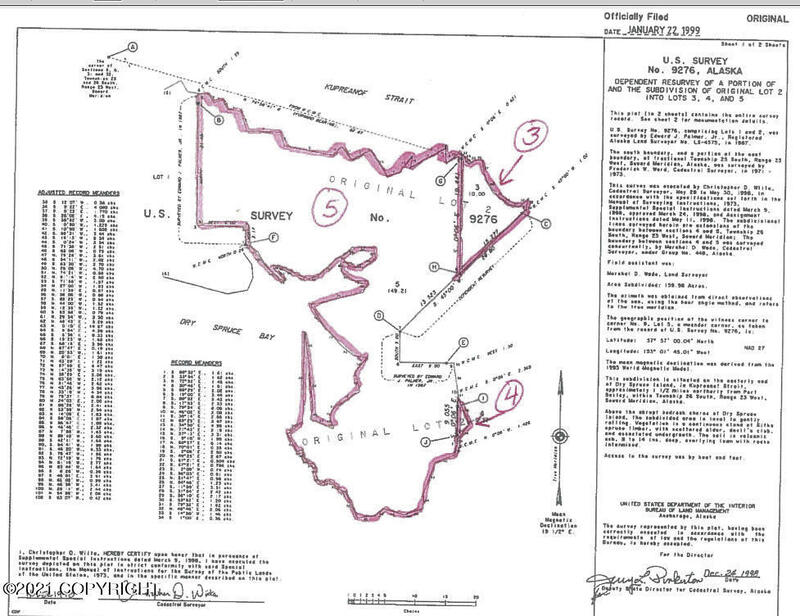 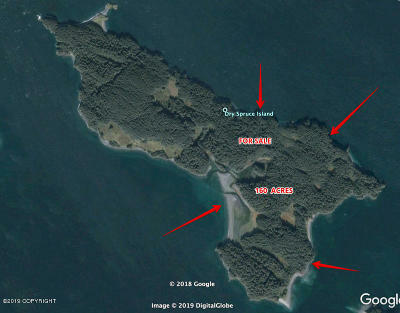 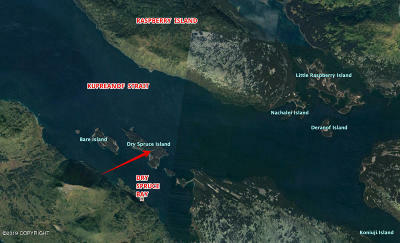 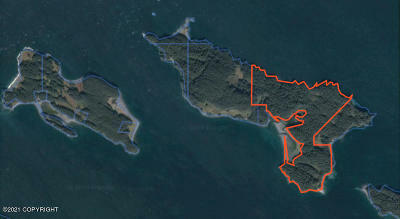 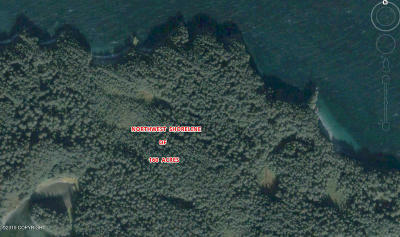 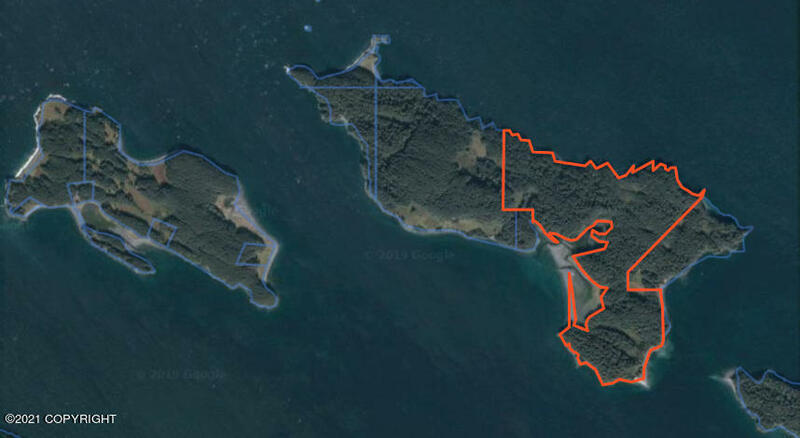 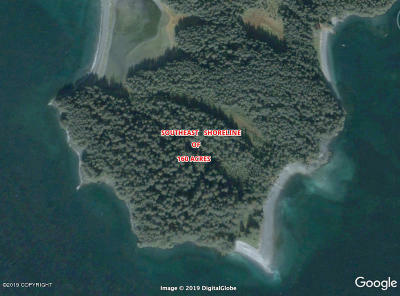 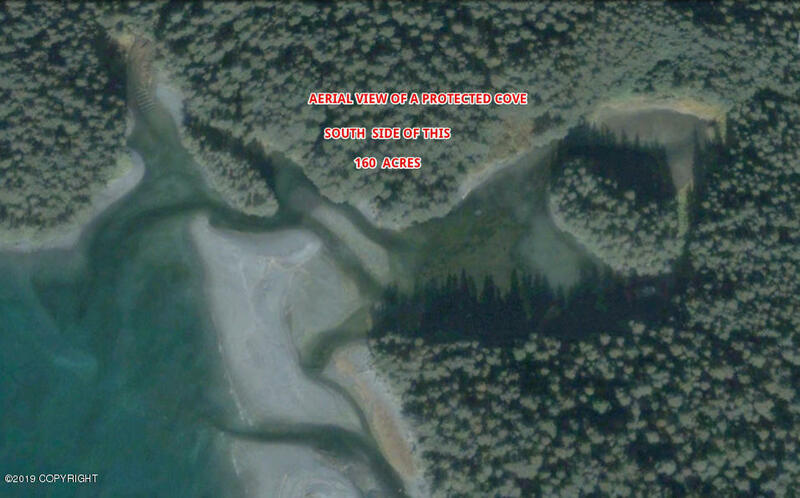 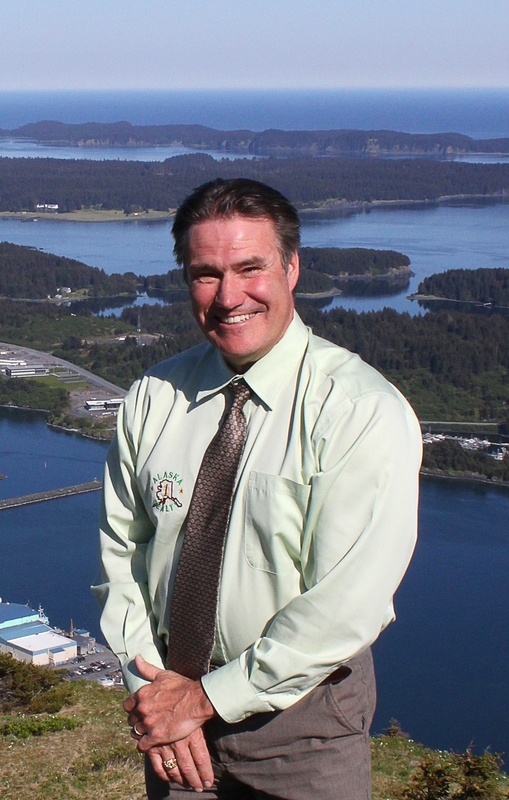 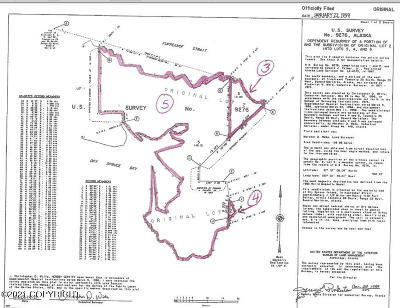 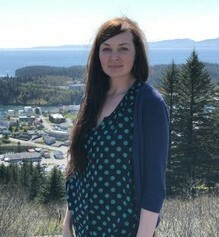 160 acres with OCEAN FRONTAGE ON KUPREANOF STRAIT AND DRY SPRUCE BAY only 28 air miles from the city of Kodiak, Alaska. 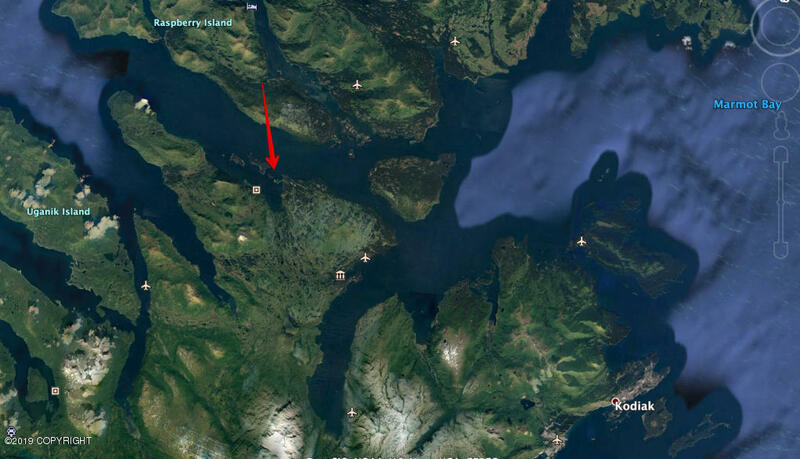 Appears to have a natural protected calm water location to anchor a boat. Quarts & Gold was located on the east side of this island in 1902 and a small mine operated there during that time. 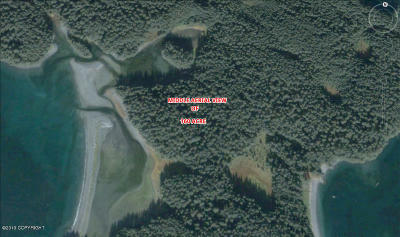 This is a Native Allotment property and will require BIA approval of the sale.